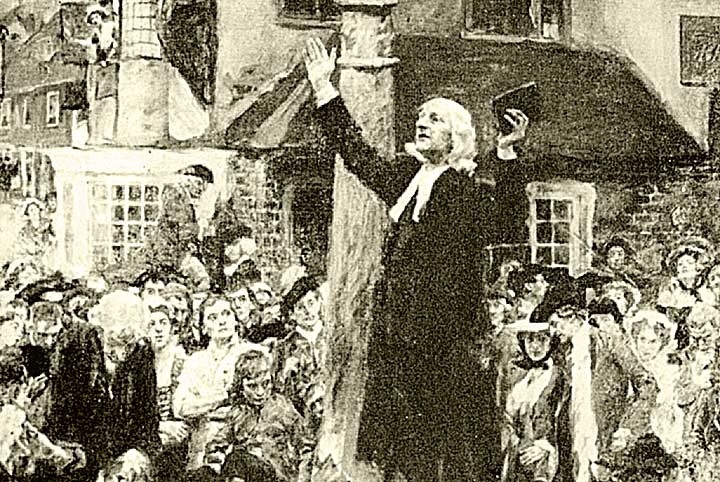 How can we describe the calling to preach? Is it that we sense God at work while we’re preaching? Or that we enjoy sermon preparation as much as delivery? Is it the God given ability to make Scripture understandable to today’s listeners? Or better still, to apply it in such a way that gets behind people’s defences? Or is it simply that we miss it when we stop doing it? Ah… it’s probably all of these. But has one facet of the calling to preach been lost? Like many of you I have read biographies about some of history’s best known preachers. 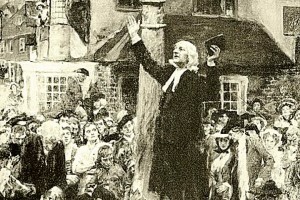 I was amazed at how much preaching the likes of Wesley and Spurgeon did outside of churches. They seem to have referred to it as ‘Field Preaching’. If these two men were told that they must limit themselves to preaching inside churches I’m certain they would feel that their calling to preach had been violated. But we pastors in today’s world seem to readily accept that limitation. Don’t we? Similarly, I thought about biblical characters like Paul speaking in the square in Athens, Jesus’ Sermon on the Mount and Peter at Pentecost. Would any of these men have been happy to limit their preaching to the insides of religious buildings? I’ve got to admit, I’ve found it far easier over the years preaching inside churches to people I know, who are convinced of many of the same things that I am. For long stretches of my ministry I’ve been happy to keep my head down and accept that this is the way it’s done. Yet deep down something doesn’t sit right. Like an itch that I just can’t scratch. What am I suggesting? That we all go out into our local shopping malls, preaching notes in hand and unleash last week’s sermon on the unsuspecting shoppers? Not quite. It was probably more out of a sense of duty or guilt that I agreed to join OAC (Outreach and Church Ministries) and do some creative evangelism at the Petone Fair a couple of years back. But a part of me came alive in doing that. I found it immensely liberating to be able to talk to groups of people on the street about God. I love those conversations and most NZers seem to hardly ever have them. The same inspiring feelings hit me when I talk with unchurched folks on an Alpha course or preach to a secular crowd at a wedding. So now I find myself asking: Is this just a personal thing that Steve Worsley gets a kick out of, or is it part of the calling to preach which so many of us have? What do you think?